Labor Day is an opportunity to relax with friends and family and celebrate the end of the summer, but it also means you’re more than likely going to attend or throw a party of some sort. We’ve checked the forecast, and there’s a 95% chance your Labor Day will include American classics – corn on the cob, hot dogs, burgers, and fries. 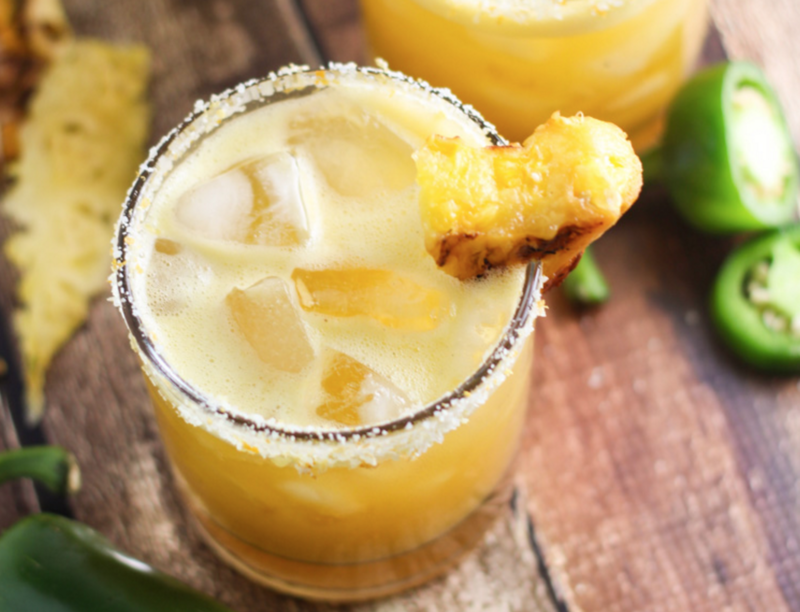 So we’ve provided you with a few hacks to ensure that all of your main courses are on-point, plus a few tricks to amplify your whole party – from appetizers to party games to fruity cocktails. Follow our guide for hosting an unforgettable, labor-less Labor Day party. Rather than having guests huddle around a bowl of dip, make veggie cups so they can snack on the go. 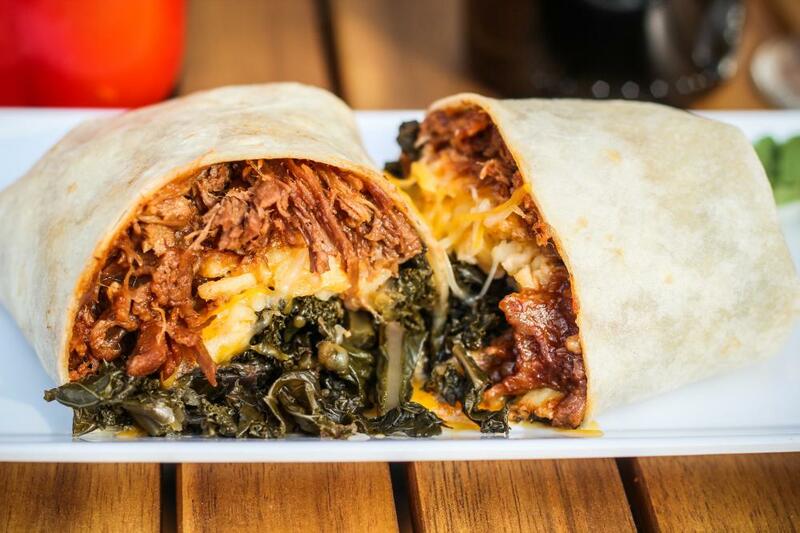 This way, you don’t have to worry about interrupting conversations or double dipping! 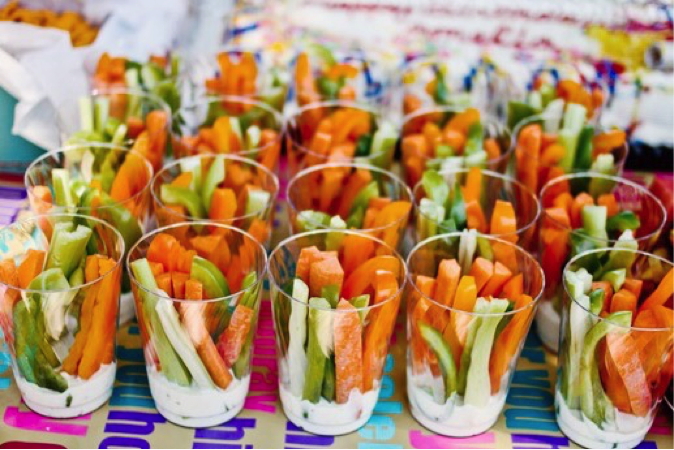 Try this idea with anything you’d usually find on a veggie platter – celery, carrots, peppers, ranch, hummus – for a healthy and refreshing hors d’oeuvre option. In the spirit of a labor-less Labor Day, have your guests do a little work. 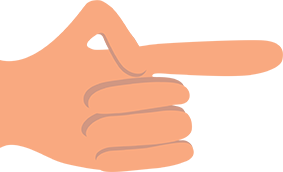 A gourmet burger bar is an excellent way to involve attendees and ensure everyone’s pleased. The difference between gourmet and blasé comes down to your ingredients and the overall presentation. We suggest using simple white plates and bowls for a beautiful, crisp spread that plays homage to the “no white after Labor Day” rule, and make sure to label the food – whether with marker on wooden sticks, mini blackboards, or free patriotic print-out labels. For the patty, try grilling beef and veggie patties, plus one of the following: chicken breasts, Portobello mushrooms, quinoa burgers, turkey burgers, or buffalo burgers as additional patty options. For cheeseburgers, set up a platter with cheddar, bleu, Havarti, pepper jack, provolone, and any other type of queso your heart desires. Go wild with sauces – relish, ketchup, mustard, spicy mustard, pesto mayo, BBQ sauce, Thousand Island dressing and more! Pour these in small bowls with labeled spoons for serving ease and clarity. Lastly, our favorite include: dill pickles, banana peppers, jalapeños, spinach, lettuce, arugula, basil, tomatoes, sautéed mushrooms, caramelized onions, bacon and grilled pineapple. The more options the better! 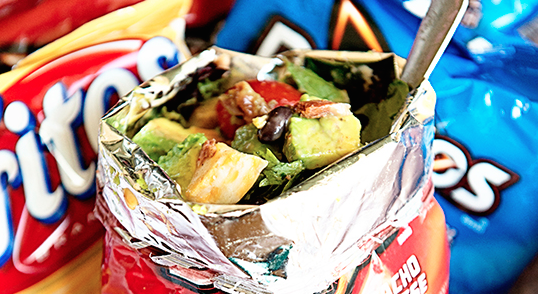 Or, save yourself the mess and click here book a burger truck to cater your Labor Day Party. With just a few supplies and a few minutes, you can seriously upgrade your hot dogs. Similarly to the burger bar, presentation of the grilled goods and sauces are just as important as the decorations that go on top. All you need is twine and some red, white, or blue patterned wrapping paper! 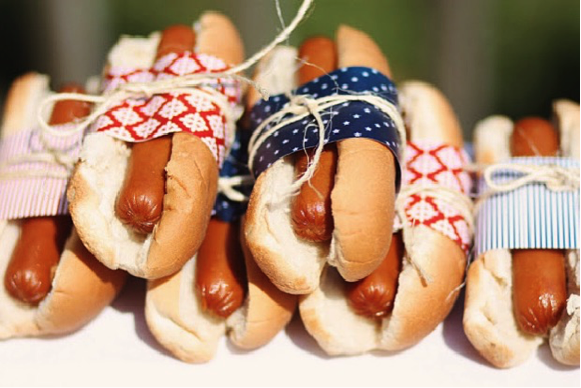 Cut the paper into 3×6 inch rectangles, wrap it around the hot dog, secure it with twine, and voila – you have adorable, patriotic wieners that won’t make a mess! Anyone can make a decent burger or dog, but the same is not true for fries. Crinkle-cut oven-fries aren’t exactly ideal for special occasions when you want to impress guests. So in the spirit of “labor-less” Labor Day, we suggest surprising guests with a French fry truck. 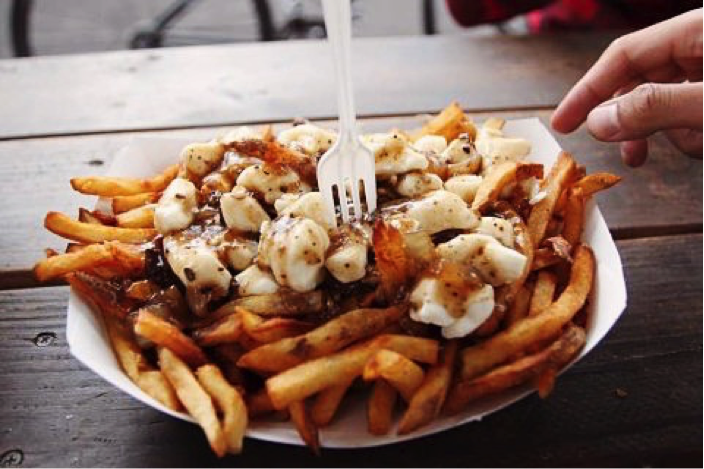 Trucks specializing in fries like Potato Champion will tantalize guests with saucy poutine or their simple fresh cut, double-fried potatoes served with insane dips like Curry Sauce, Rosemary Truffle Ketchup, and Chipotle Mayo. It’s hard to resist loaded fries from Groovy Guys Gourmet Fries – they have sweet potato fries topped with cream cheese sauce, or pizza fries topped with fresh mozzarella and pepperoni. In case your gourmet burger bar doesn’t already blow guests away, a fry truck will put your party over the top! Click here to book a delicious french fry truck. Mason jars embody childhood summertime nostalgia, trendy Instagram photos, and cocktail glasses all in one! To reduce your workload, mix and pour Twisted Strawberry Lemonade into mason jars the night before. The day of, just give ‘em a shake and set them in a vintage bin full of ice. If you want to go above and beyond, you can prepare an assortment of cocktails – Pineapple-Mint Mojitos, Muddled Blueberry Gin, Guava-Orange Margaritas – and use a sharpie to label the jar caps! Keg-less on Labor Day? Fear not – your favorite fruit has your back! 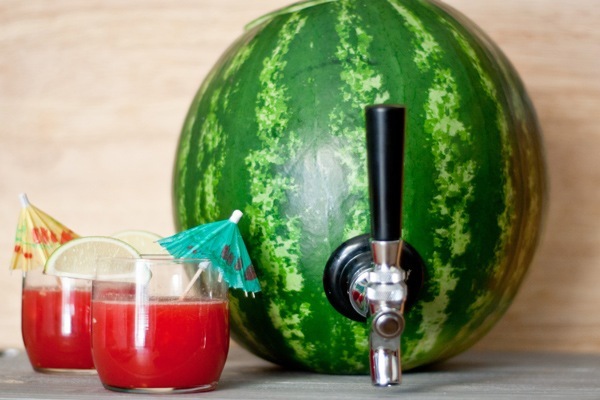 Celebrate the end of summer by serving drinks out of a watermelon keg. The first step is to cut a flat bottom, slicing small slivers until the melon can stand upright. Next, cut a hole in the top, and hollow it out just like you’d carve a pumpkin for Halloween. Scoop out all the fruit and set it aside for a delicious watermelon punch recipe. Finally, drill a hole near the bottom and install a watermelon keg tap. Fill up your fruit keg with punch and lots of ice – cheers! Jello is a favorite summertime snack, and tastes even better when it’s served like an orange slice! 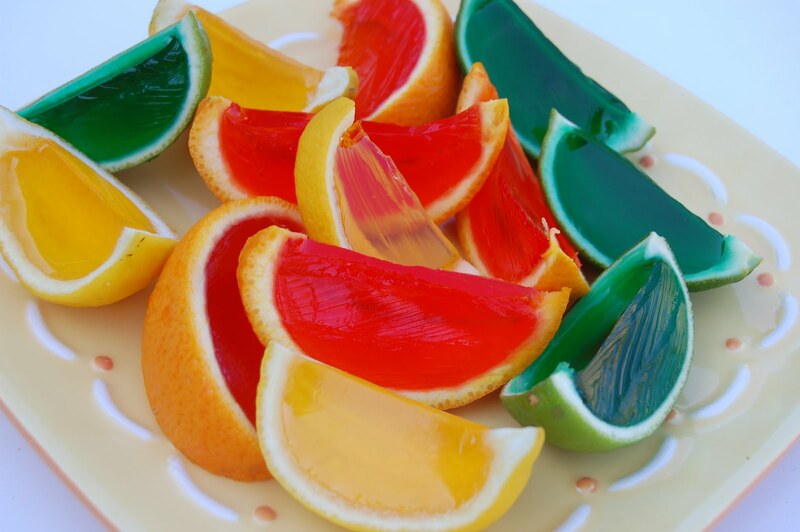 Follow these instructions to make a rainbow of Jello citrus slices – kids and adults can get their sugar fix and cool down, without making a mess! 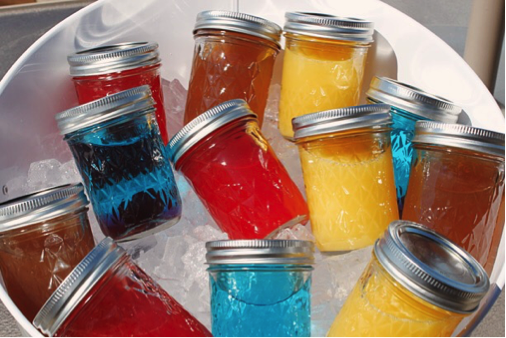 If it’s an adults-only party, feel free to add vodka to make those slices Jello shooters. Usually corn on the cob is difficult to grill for large parties, but cooler corn is a genius solution to this problem. Here’s how it works: find a giant plastic cooler, wipe it clean, and fill it with shucked ears of corn. Pour in two large pots of boiling water, close the cooler, and when you open it 30 minutes later the corn will be flawlessly cooked, and should remain perfectly done for a couple hours. Best part? Virtually no setup or CLEANUP compared to traditional grilling. 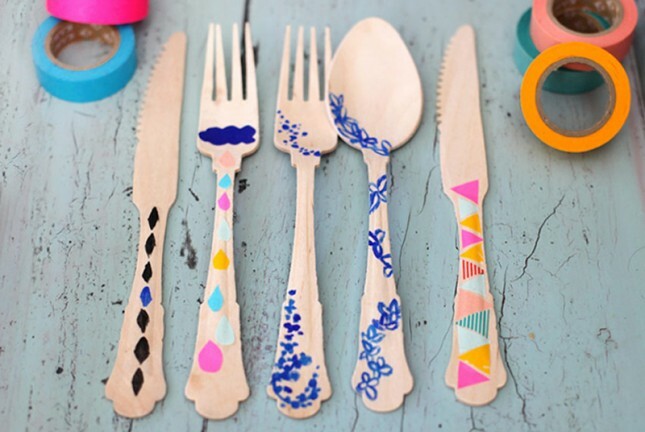 Wooden disposable cutlery is trifecta of excellence – it’s eco-friendly, cute, and a great way to keep children busy! You can decorate the utensils beforehand, or you can set out sharpies and non-toxic paint pens so it can become a party activity for guests of all ages. Bobbing for apples is a fall party staple that’s usually forgotten about until Halloween rolls around… so your guests will be pleasantly surprised to play this game in September! This game is perfect for Labor Day since it signifies the beginning of autumn, but is also a summer-friendly activity since bobbing will provide heat relief. Twister is a popular party game is an epic icebreaker that guests of all ages will love, but take it to the next level by making a lifesize game by spray painting the circles onto the lawn! Any spray paint should be safe, but if you’re nervous then opt for brands that are non-toxic and biodegradable. Trace a plate on poster board, and slice out the circle – now you have a stencil! Use a traditional Twister game as a guide, spraying rows of yellow, red, blue, and green dots – you may need to substitute a new color for green or yellow, depending on your drought situation. This game is sure to spark new friendships and some hilarious photos.